【12Pcs 45W 5500K Light Bulbs】Super Bright and Standard Color Temperature 5500k. 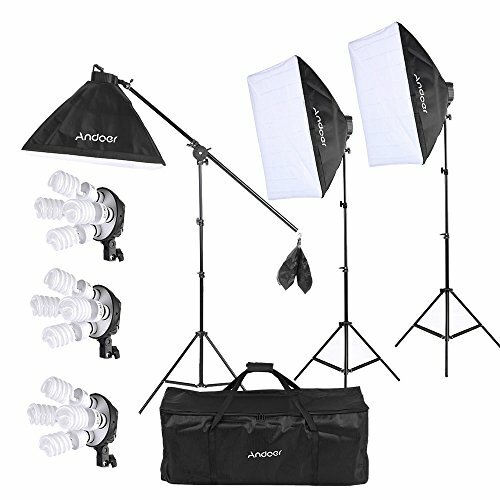 【3Pcs 50 x 70cm Softbox】Helps create even and diffused light, soften the light stream and remove shadow. 【3pcs 200cm Light Stand】Durable Metal, Extend to 200cm/78.7inch.